Did Trail Cam Catch an Alabama Ghost? Is this spooky image evidence of Pot Weaver's ghost? When setting up trail cameras, hunters expect to catch all sorts of big bucks in action....but ghosts? As farfetched as it seems, Concecuh County (Alabama) Sheriff's employee Zach Davis, 26, claims to have photographic evidence of the paranormal, according to the Birmingham News. The blurry image of a man in plaid and khakis was captured while Davis and his father-in-law were watching deer activity at one of their food plots. Local legend says the ghost could be that of Pot Weaver, who lived on the property until his death in 1984. Images taken before and after the sighting show no sign of footprints, with nothing but deer and landscape all around. Davis and his father-in-law also said they were watching the food plot while the sighting occurred, but saw nothing out of the ordinary. 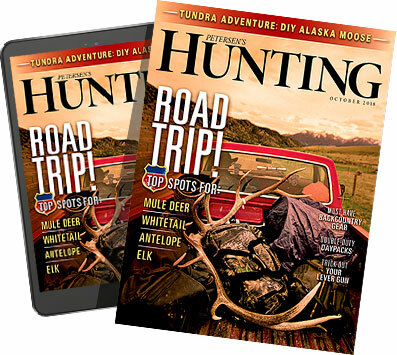 For more, check out Game & Fish's article on the spooky sighting.